One sunny afternoon, we stumbled across Christ Church, locked up and overgrown with ivy. It was for sale… intrigued an appointment was made to have a look inside. A seed of an idea was sown. 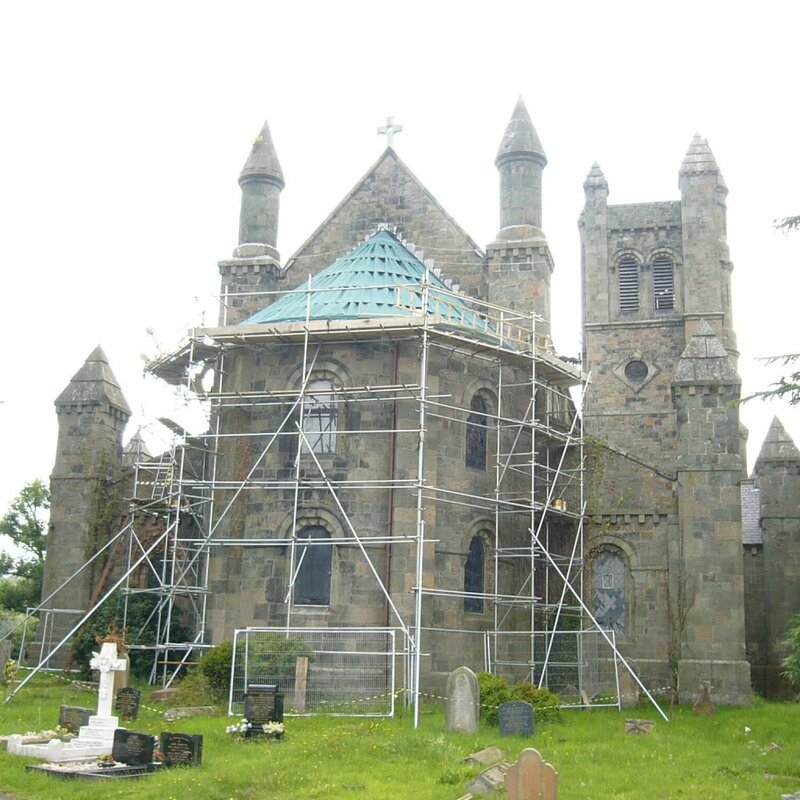 A year later in 2003 we were the proud, if somewhat petrified owners of Christ Church and our restoration journey began. Previously owned by The Church in Wales, Christ Church closed in 1998. 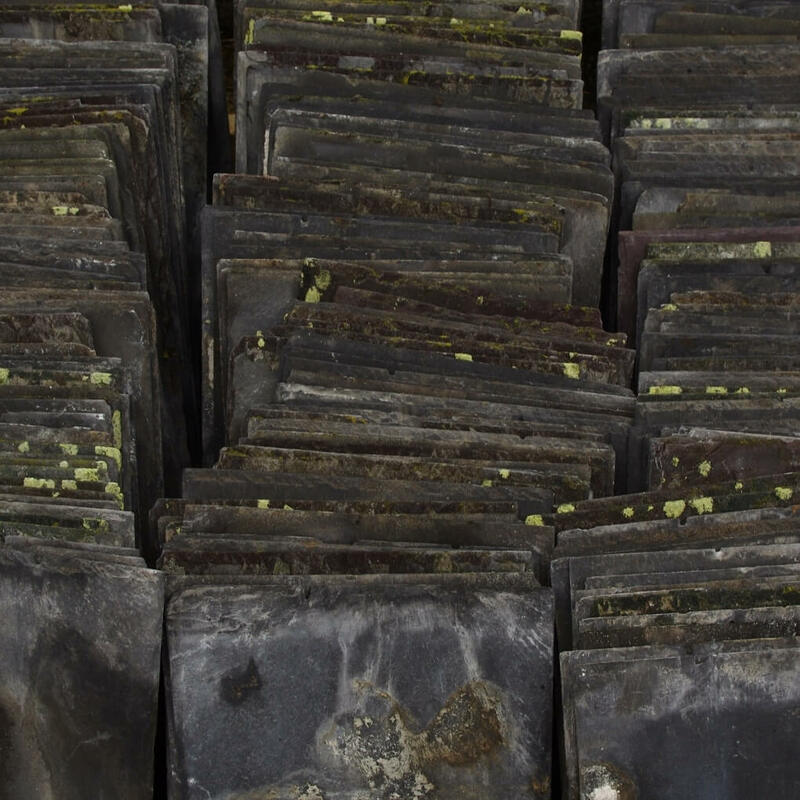 It had stood empty with leaking roofs for 5 years. It seemed a travesty that this huge ornate and very special building was slowly deteriorating in this way. We had the vision of restoring it to its former glory, of living in part of the building and of reopening the nave to the public to honour it’s original function of bringing people together… therefore giving it a future. We have converted the rear of the church into a family dwelling (more on this here), as sympathetically as possible to the original design and to the original building materials used. We are using approximately a quarter of the total area of the church as our private residence. 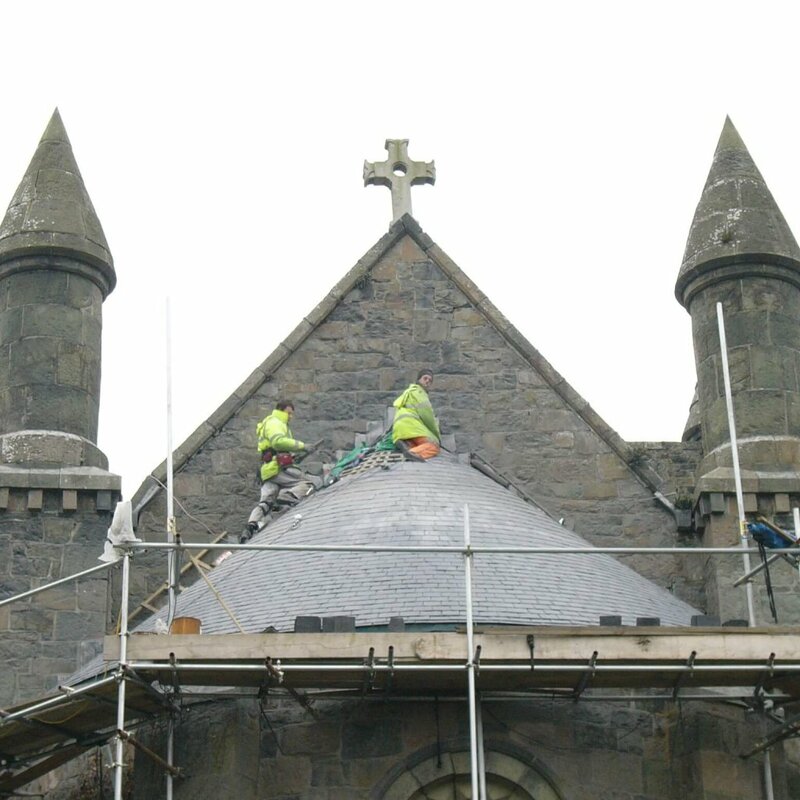 Alongside the conversion works, we are continually undergoing repair works to the building, such as re-roofing, overhauling rainwater goods, re-pointing etc. We are still playing catch up on repair work inherited from when we first bought the building, but we are making slow progress. The nave will be restored to it’s original splendour. 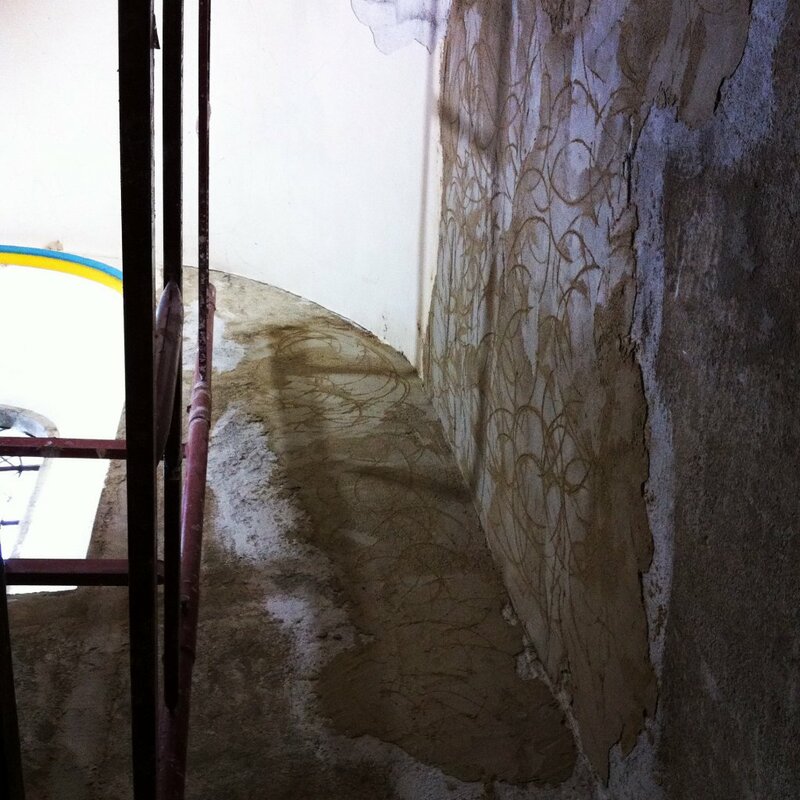 All the interior walls need to be stripped of inappropriate modern materials and replaced with lime products. 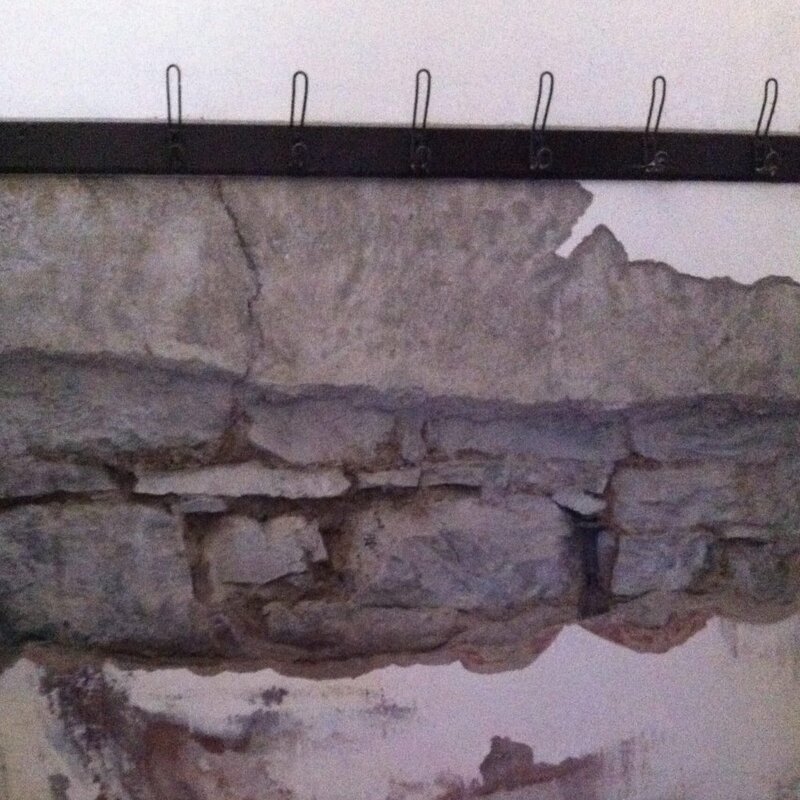 Damage incurred by years of water ingress will be repaired. Heating will be installed, powered by our log boiler heating system, as well as installing toilet and kitchen facilities to enable it to be fully used as a public space. Christ Church will open as a building of historic interest, a public hall and community space. To facilitate this, we have set up ‘Christ Church Welshpool’ as a not-for-profit company. 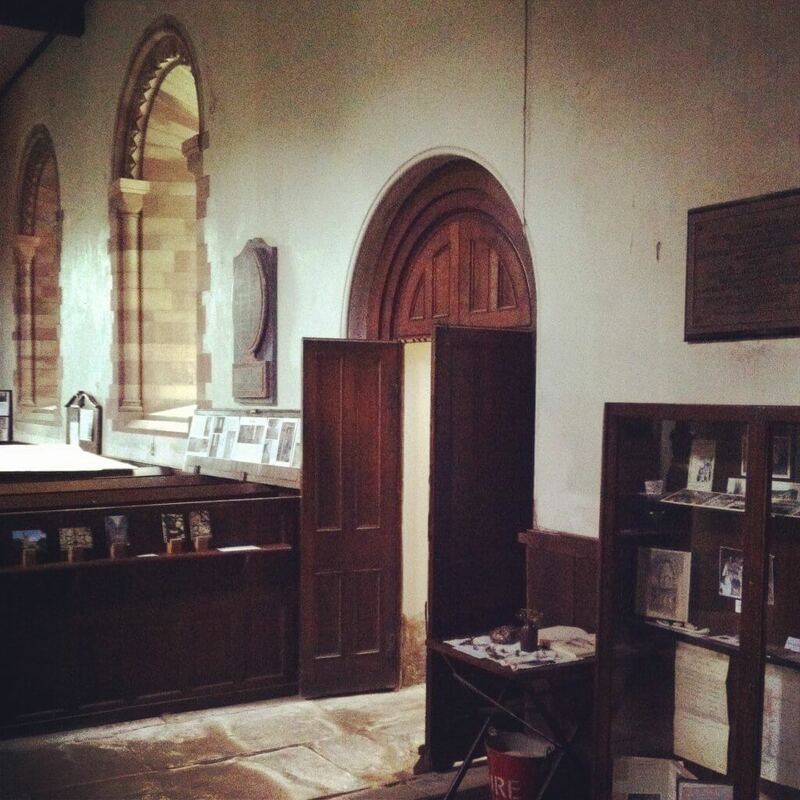 The nave will open in phases, beginning with the opening of the south aisle as a heritage venue for people to view the church interior, learn more of its history and to see the work that we have undertaken. Events will be organised to celebrate and record the building’s heritage. As progress allows, more of the nave will be open for public use. 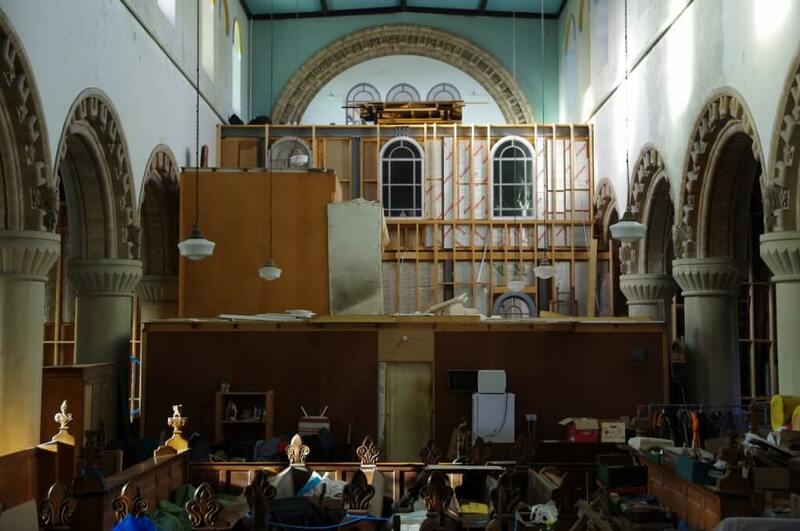 The increased space will be available to hire for meetings, concerts and exhibitions and the range of events organised by Christ Church Welshpool will be enhanced. Ultimately we would like to develop the tower as a viewing platform as the views it offers of Welshpool and the Severn Valley are just far too good to keep all to ourselves! We feel very strongly that this building was designed for people and that public use should play an important role in its future. This would be of an advantage to the building as well as being beneficial to Welshpool, particularly as it would increase tourism within the town and widen the town’s ‘cultural scene’. The acoustics of the building are superb and it would be a shame not to give the organ a new lease of life! 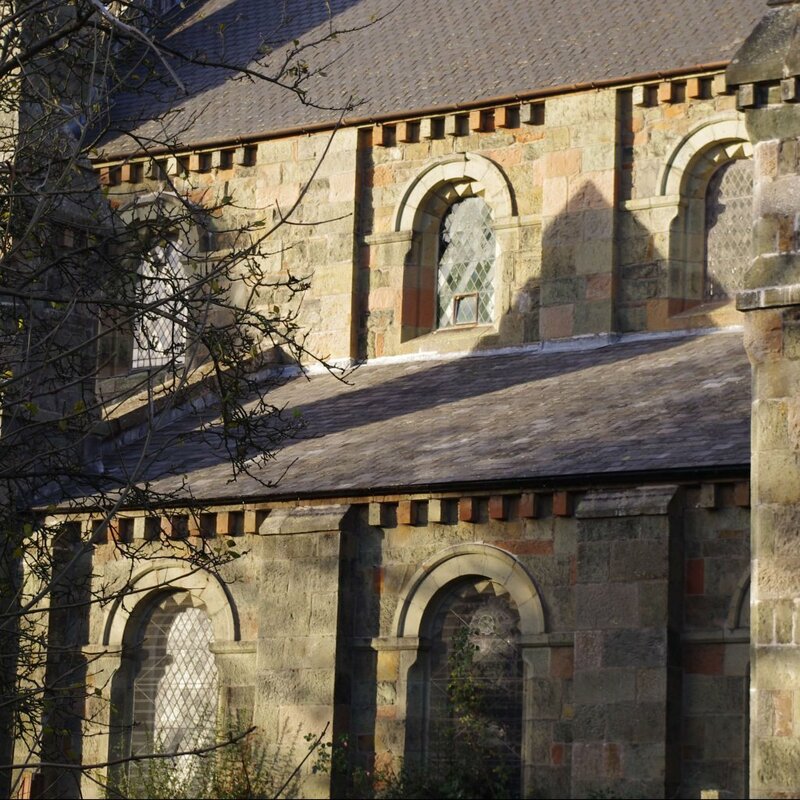 Christ Church Welshpool operates as a not-for-profit making organisation to ensure the building’s future is protected and self sustainable, with the overall aim to enable the public to continue to have access to this beautiful Victorian building. 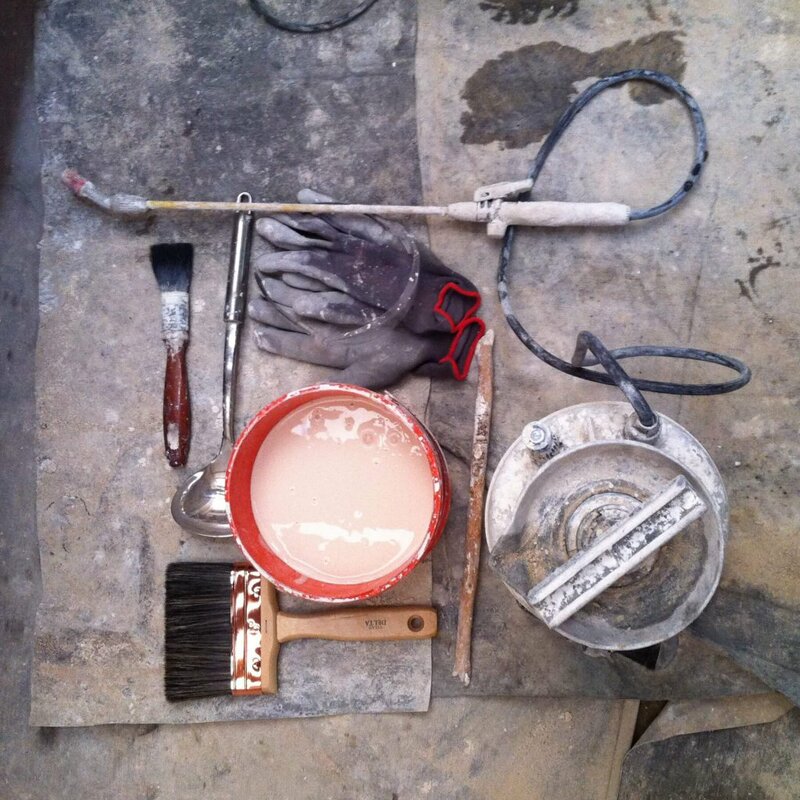 Whilst we have undertaken all of this work – restoring an historic building, building a house, opening the building to the public and running a business (phew! 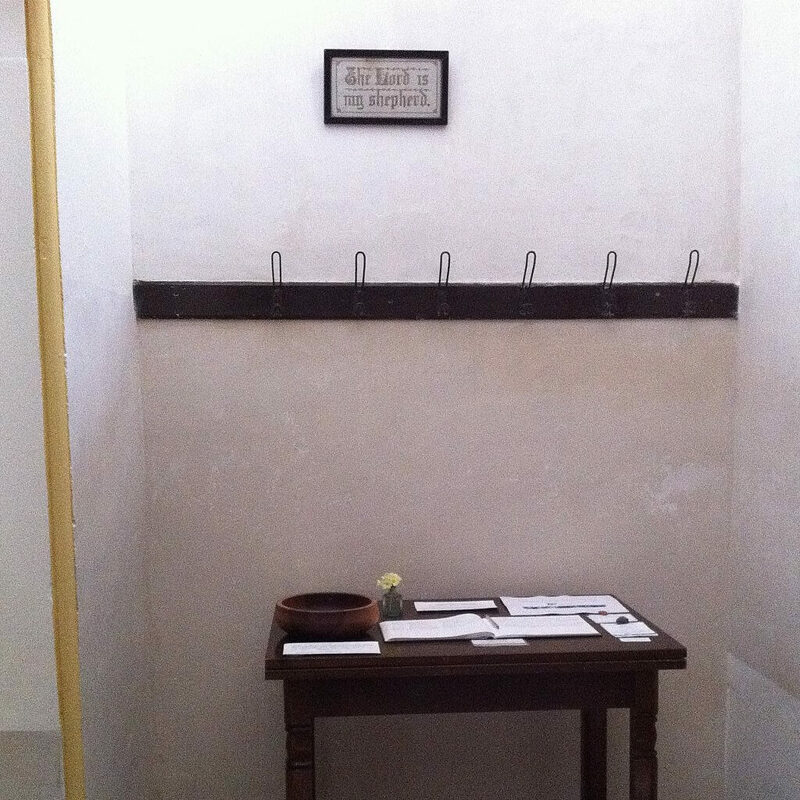 ), we were living in the church in ‘temporary’ accommodation. This, we affectionately refer to as ‘The Hut‘, where we could live in a relatively warm and dust free environment. It served us very well. The Hut was originally designed to be lived in for only ‘a couple’ of years… we finally moved out of it 14 years later and we have taken it down. 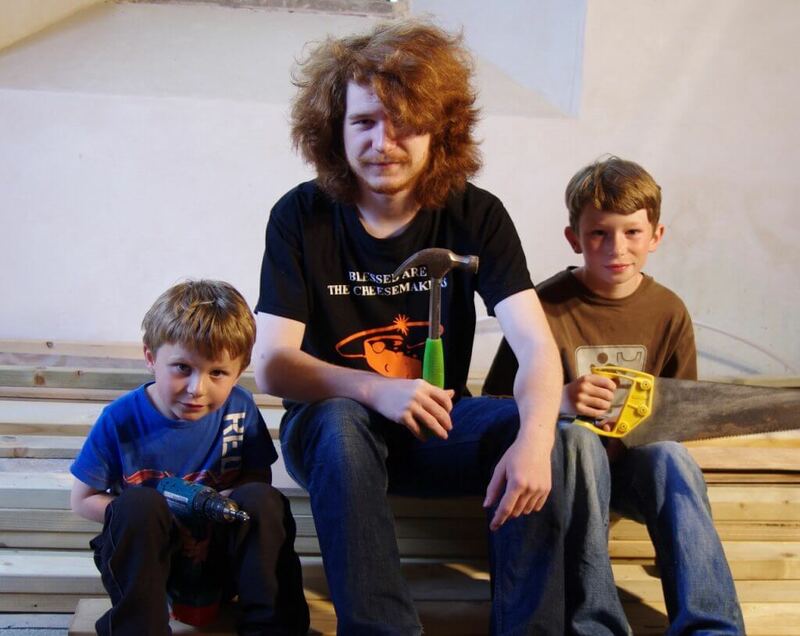 Our three sons, Owen, Fred and Victor have thrived here and are having a very unique childhood. Victor was even born here in the church! They have been very hands on in all aspects of Christ Church life, and hopefully the experiences they have had here will enhance their own lives. We have undertaken and funded the majority of the work ourselves. We are very grateful to all our friends and family who have supported us in this project and continue to give up their time to give us a helping hand. 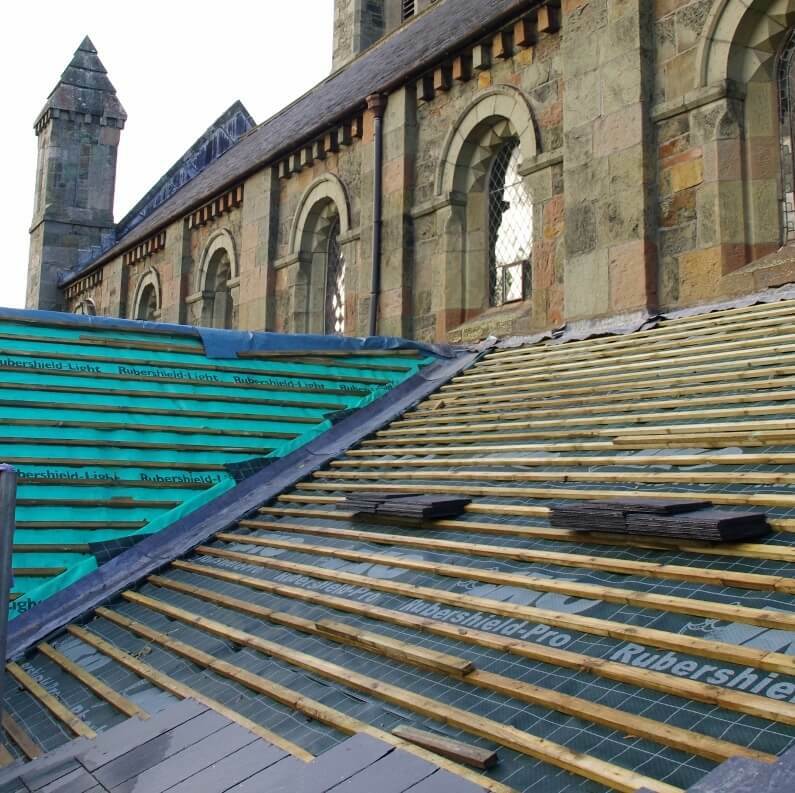 We are not experienced in restoration and building work, and we weren’t even looking for a project on this sort of scale. We were quite terrified by the thought of taking this building on. But Karl’s ability to think outside of the box along with his tenacity, drive to succeed and integrity (along with my patience!) and the hard work by all of us, has been this building’s saviour. The enormity of the task ahead can be overwhelming at times but thankfully the building has been very patient with us. It has taken a lot longer to work through the ‘to do’ list than we initially envisaged, but every little step forward is progress. Christ Church has become our life, not just our home. The process of its restoration has been both enlightening and fulfilling. 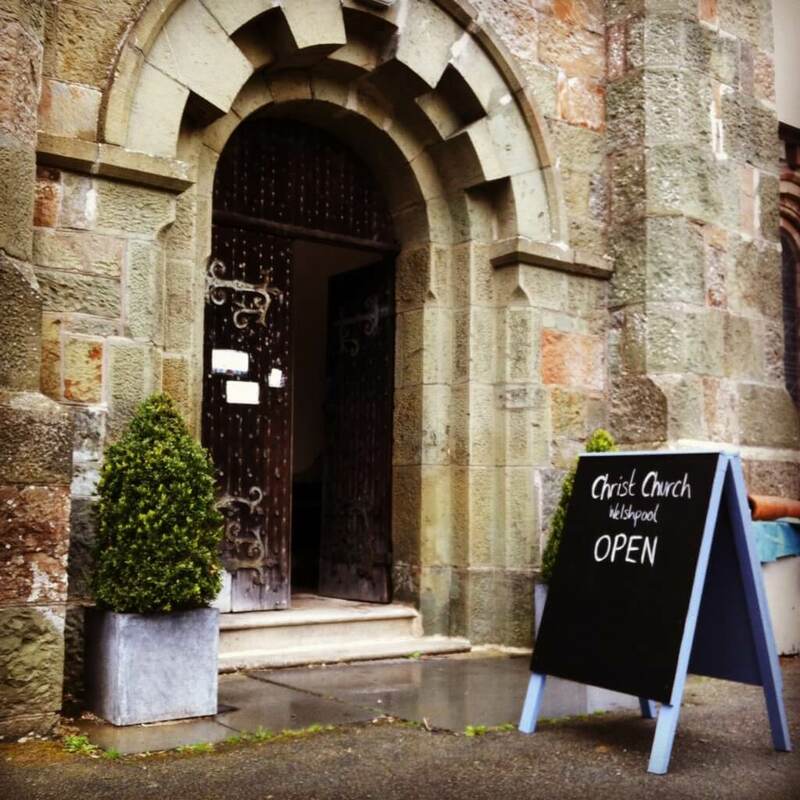 There are so many interesting threads here, such as the history, the people who connect to this place, the building’s aesthetics, the churchyard and the stories it holds, along with the wildlife, all to be woven together by us to write the next chapter in the future of Christ Church. More on the House can be seen here.